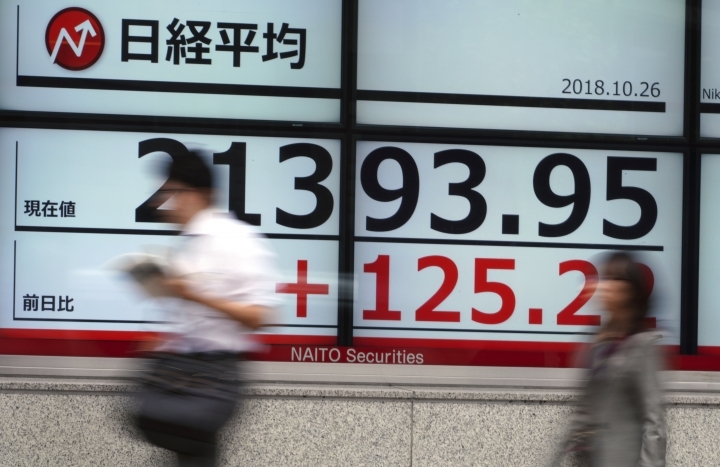 TOKYO — Asian shares have turned lower after early gains, despite the overnight jump on Wall Street. Worries over corporate earnings, trade and the outlook for growth weighed on sentiment. 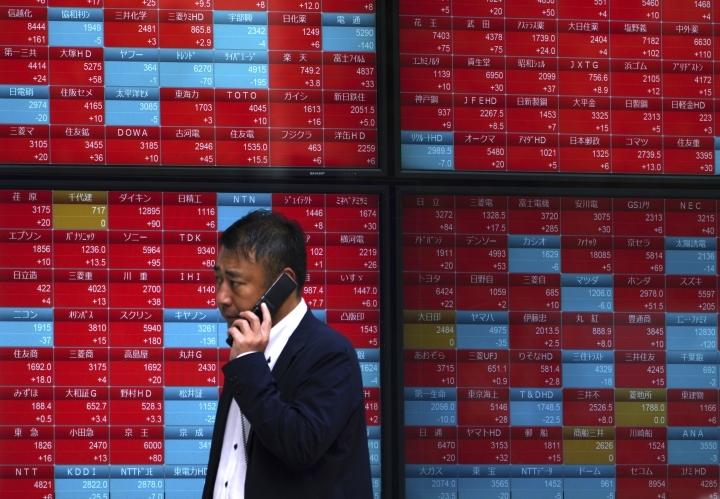 KEEPING SCORE: Japan's benchmark Nikkei 225 lost 1.1 percent to 21,026.97 on Friday, while South Korea's Kospi plunged 2.6 percent to 2,010.46. Australia's S&P/ASX 200 gave up 0.4 percent to 5,640.60. 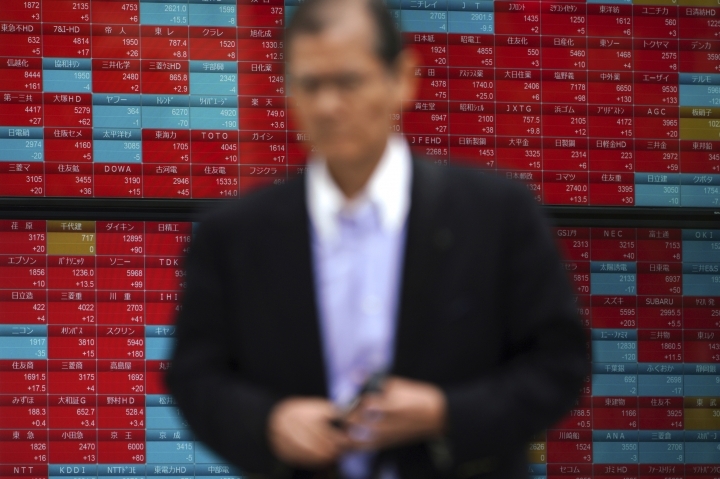 Hong Kong's Hang Seng sank 1.5 percent to 24,609.81 and the Shanghai Composite shed 0.5 percent to 2,589.65. Shares rose in Indonesia but fell in Taiwan and elsewhere in Southeast Asia. WALL STREET: The rally wiped out a large part of the market's plunge from the day before. The S&P 500 index jumped 1.9 percent to 2,705.57. The Dow Jones Industrial Average rose 1.6 percent to 24,984.55 and the Nasdaq surged 3 percent to 7,318.34 after its biggest drop in seven years. THE QUOTE: "Despite the relief stemming from gains on Wall Street, the leads are mixed for Asia into Friday," Jingyi Pan of IG said in a commentary. "One notable trend that would add to the pressure for Asia markets this morning had also been the strengthening greenback." 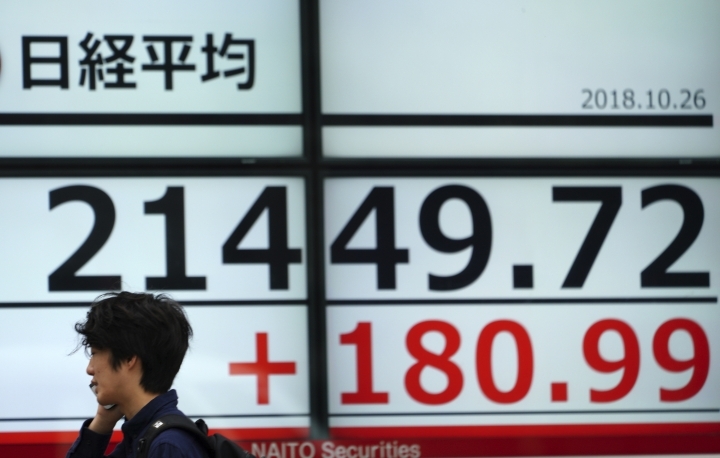 CURRENCIES: The fell to 112.17 yen from 112.43 yen. The euro fell to $1.1367 from $1.1375.